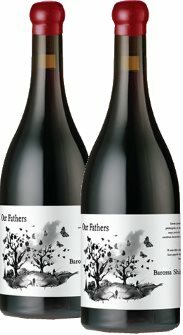 If you haven’t heard of the Our Fathers label from South Australia it is hardly surprising: this is Boutique winemaking with a capital ‘B’, producing just one wine per year, and a strictly limited number of bottles to boot. But terrific though the wine is (see my review of the two most recent vintages below), the story behind Our Fathers is really what this wine is all about. Edinburgh-based Giles Cook MW is Wine Development Director of Alliance Wines, one of the country’s most important wine importers and distributors, a position he has held for almost 25 years. But that is his day job. 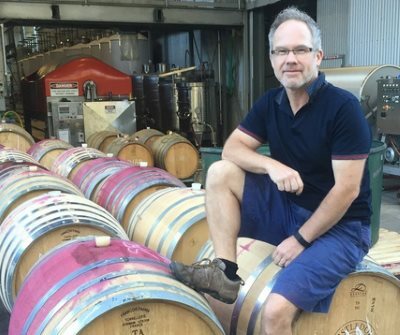 By night (well, crammed into his annual leave and professional travels I suspect), he is a winemaker and co-owner of Thistledown Wines in Australia, having founded the company along with fellow MW, Fergal Tynan. But Giles now has his own side-project, a label called Our Fathers that is very personal to Giles, and which was born out of life-changing events. The goal of Our Fathers is not just to make excellent, ‘hands-off’ wines from ancient Shiraz vineyards in the Barossa, but to support charities that became particularly close to Giles’ heart. Late in 2013 his father was diagnosed with lung cancer, and just 50 days later he passed away. Inspired by the care his father had received, Giles wanted to give something back, and the first inklings of an idea for a special wine where all profits would be donated to linked causes was born. Later the same year, while walking through a 125-year-old Barossa Valley vineyard, Giles’ idea took more solid form: he would make a wine from this very vineyard, tended for over a century by ‘our fathers’. The project began, but before their first wine was even released, a second tragedy struck when Giles’ mother, who had battled mental illness for many years, took her own life in 2014. The Our Fathers project began to take on even greater significance, but life was not quite finished dishing out challenges to Giles just yet. In 2015, completely out of the blue, he suffered a heart attack. As he recovered it seemed more important than ever that Our Fathers should succeed, and I imagine gave him a focus and a goal to help deal with two years of turmoil. When that first 2014 vintage was eventually released, it garnered unanimous critical acclaim, and charities including Scottish Action on Mental Health, St Columba’s Hospice in Edinburgh, Cancer Research UK and the British Heart Foundation all benefitted from the profits. Each bottle is handsomely sealed with wax (thankfully a nice wax composition that slices off rather than shattering into a million pieces), and these really are cracking examples of old-vine Barossa Shiraz at its best. The wines are on strict allocation priced at £150 for six bottles, and available by joining the mailing list at ourfatherswines.co.uk. (2018) What a wonderfully full and delicious wine. That could be the end of the tasting note, but perhaps I'd better expand: this is the glorious face of hedonistic Barossa Shiraz, glossy, deep and overflowing with dark, chocolaty fruit, blackberry, plum and blueberry, but there's also a brighter, red fruit lift. In the mouth the 14.5% alcohol is unobtrusive, because the sheer concentration of the old vine fruit easily matches it, and the slick, vanilla and spice underpins with creamy tannins and an agile acidity. You have the full force of Barossa, but freshness - even elegance - too. (2018) Quite a different vintage from the 2015 this, with more pronounced herbal, peppery and raspberry notes joining the black fruit, a little balsamic and lifted character, all very attractive in a firmer way. In the mouth the wine has the same sense of opulence and plushness, a dark, glossy pool of black fruits inviting you to dive right in, but there's a little more of an edge too, firm, liquoricy, mocha-deep, but giving a certain tangy presence. This is a slightly more savoury, structured interpretation, and again, a very successful one. This will improve further with mid-term cellaring, whilst the 2015 is irresistible now.